Learning management systems, or LMS, are often among the most highly-visible and heavily-relied-upon resources in an educational institution’s tech toolkit. We're talking about the widely used Blackboard and the like. An LMS platform helps institutions organize course materials, administer testing, facilitate discussions among learning groups, and document student performance. They can be used to manage traditional classroom education, or to facilitate the smooth functioning of fully remote or blended (part in-person/part online) classrooms. And they must integrate with your larger student information system (SIS) to make your overall operations work effectively. So, you probably know the big names in this area: Blackboard (in the US, this is the granddaddy of the industry and the dominant player), Moodle (the most popular option outside the US), and Canvas (the newest of the big three). But there are many competitors in this field, including Schoology, Edmodo, and Google Classroom. In recent years, some smaller players have fallen off (for example, ANGEL and Pearson’s LearningStudio). The LMS space has seen has seen some market slowdown (as Ed Lederman at Inside Higher Ed reported in 2017). Still, this type of software has become such an entrenched part of modern education that we predict only fiercer competition among an increasingly tough, if narrowing, group of competitors in the years to come. Those providers that integrate well with the changing SIS landscape and incorporate the advances in education delivery options are going to win. In short: what is their product development road map and can they deliver on it quickly? This is where the winners will be made and what you should be evaluating when considering a new LMS. They all talk a good game but look closely at their track record of implementing changes/upgrades and the strength of their development team. That, and overall customer service is key. What should be looking for? Better interfacing between other tech platforms or student information systems (SIS) platforms through the use of APIs. Consumers are demanding a higher level of customization, and the market is responding. Also important is the implementation process. How much support do you get during and after the purchase? And while they will tell you it "won't take long to get up and running and we'll be there every step of the way," you'll want to check that out on the forums and talk to some past and current customers to confirm the marketing hype. Another thing to look for as an indicator of smart leadership and a well-rounded development team behind the scenes: the user-interface. If it looks like it came from the 1990's in terms of design, it probably did. While LMS systems have traditionally focused on helping classrooms manage content, there is a newer edtech focus on social interaction as well. At a K-12 level, these technologies often focus on connecting parents, students, and teachers—see, for example, ClassDojo, an app used by 90% of K-8 schools in the US. Students can build digital portfolios of their work, teachers and parents can exchange notes and photos, and teachers can give their students a “digital high five” for accomplishments or participation. The app even includes translation tools to help bridge language barriers between parents and teachers. With the backlash against sharing everything on Facebook, these parent, student, teacher, administrator connection tools are important. At a higher ed level, there’s social edtech like Packback, an AI tool for moderating online discussion boards. The goal is to elevate the quality of conversations happening among students outside the classroom, coach students to ask good questions, and reduce the burden on professors and teaching assistants. The company began as a digital textbook startup in 2012, received funding from Mark Cuban on a 2014 episode of Shark Tank, and has since pivoted to AI...and raised over $4.2 million in investor funding as reported in EdSurge earlier this year. Students of all ages are used to using tech in their daily lives. So is it any wonder that they respond well to well-designed, social edtech? 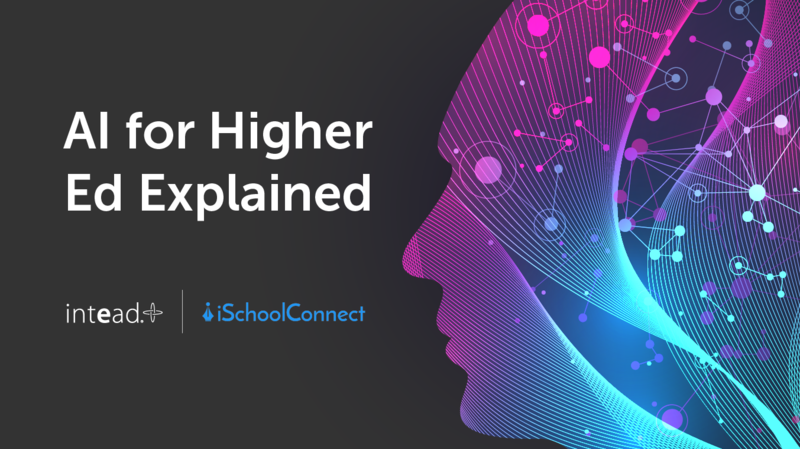 From elementary school through university-level coursework, social learning platforms are allowing educational institutions to better use technology to connect the humans that make education work. The short answer? This is already clear to those who are using the platform. Look at your longitudinal student performance data for quantifiable metrics of how your community is making use of the system. Then, ask your students and faculty what they think—Are the tools you have in place making life easier? Helping classrooms run more smoothly? Boosting student outcomes? Trust us, they’ll be happy to tell you. Take all this feedback with a grain of salt. Focus on what can truly move the needle. Because, you know us humans, we love to complain. Most of our complaints point to minor things. Taken together though, you'll find areas that are important to improve and understand where the real value of a system lies. If the platforms your institution uses largely meets your needs and help your students perform well, stick with what you’ve. Switching platforms does come with the major expenses, both in terms of time and money. Getting a learning community up to speed on a tech tool is no small feat, and will require real effort from everyone from your institutional leadership to your IT guys to your teaching faculty. User adoption is the hardest part of any technology. And this is where the user interface, the design of the thing, is SO important. But if your learners and educators are finding your current systems more burdensome than helpful, it is worth examining why that is. First, evaluate whether this feeling is truly because of shortcomings in the edtech platform itself, or because of a lack of training or buy-in. Does your community really understand how the tool works? Do they know how to get questions answered? They need to. Online user forums (your own private one or existing public ones) can solve so many small issues with very little effort. (Forum moderation is important here, folks...you know what we mean). If the issue is really about shortcomings with the system...well, then it’s time to look around. Talk to sales reps at alternative platforms that interest you, and let them make their pitch. What do they have to offer? How could they help you make the transition smoothly? Having a standardized process for evaluating the options is important. We've helped many clients go through this and then implement the chosen solution. Let us know if you need some help. Which tools out there might meet your needs and how they will do it. Intead can walk your stakeholders through each of these steps and manage an objective and structured process for the evaluation. We'll help you understand what is missing from your current edtech experience, evaluate the true source of discontent, interview alternative providers as needed, and prepare a report with our recommendations. Let's get the students and your education team where they should be. Let us know what system you use and your level of satisfaction in the comments. Or just be in touch directly. We want to hear your stories.